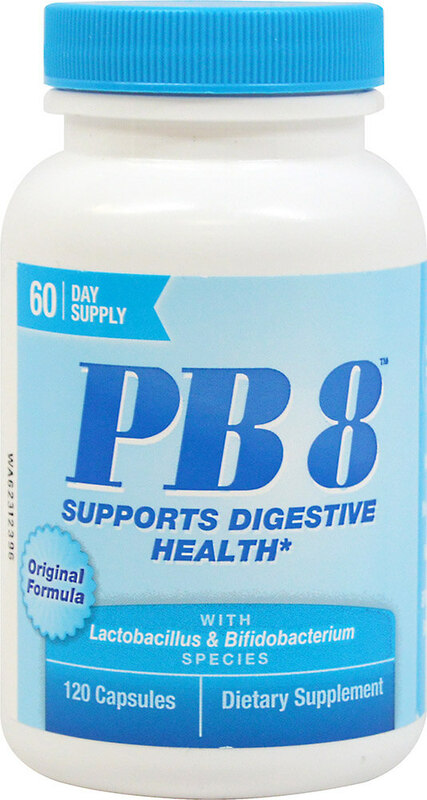 PB8 PRO-Biotic Acidophilus contains specially selected bacteria that are protected from destructive stomach acids by a special coating applied during its unique production method. The capsules need no refrigeration and contain eight strains of friendly bacteria. As a dietary supplement, two capsules contain: 100% Natural Cultures of Lactobacillus Acidophilus, Lactobacillus plantarun, Lactobacillus bulgaricus, Lactobacillus case, S.thermophilus, Bifodobacterium bifidum, S. faecium, Bifidobacterium 1000 mg.